Sarajevo is a unique tourist destination with a rich cultural, historical, and natural heritage. 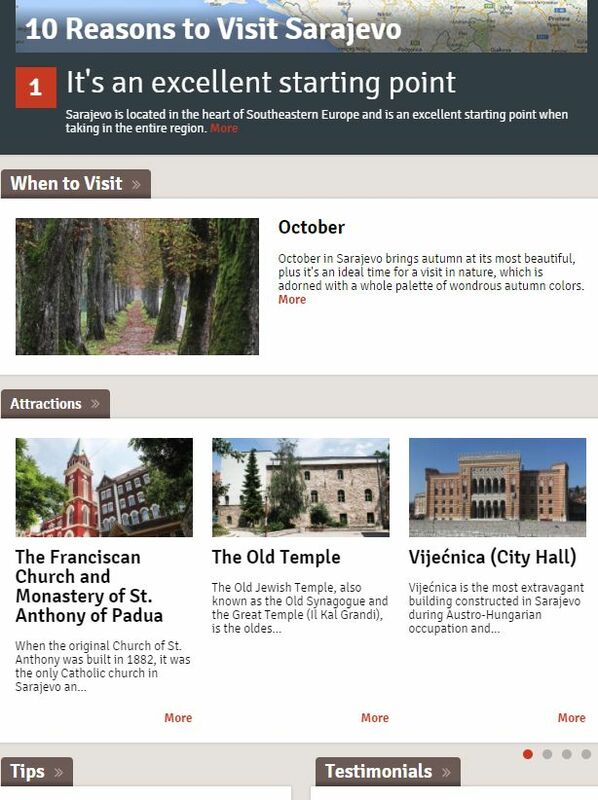 The sarajevo.travel website serves as the official promotion channel for Destination Sarajevo. They use a .travel domain to convey their credibility and attract visitors from around the world. 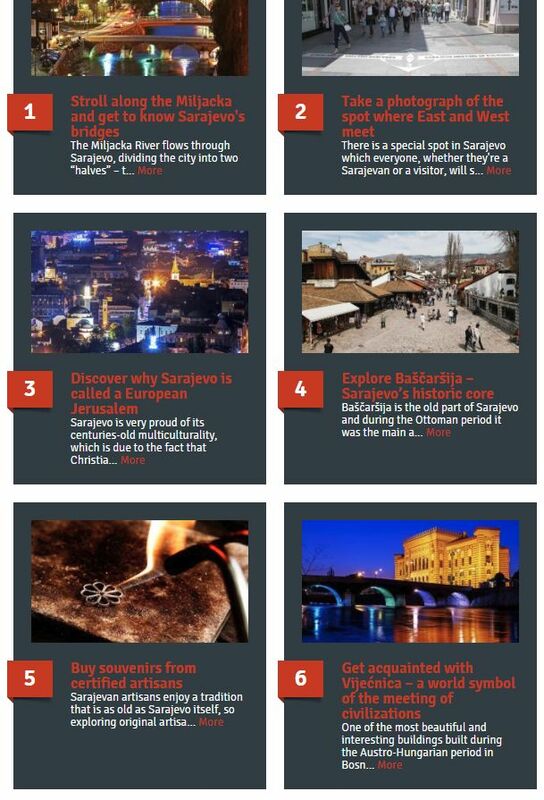 Divided into four categories, it’s a comprehensive way to stay up to speed on what’s happening in and around Sarajevo, research favorite tourist attractions, and find current information on hotels, attractions, events, and more. It’s a “one-stop shop” designed to help people plan a perfect trip, including tips on getting around and efficiently managing your time while you’re there. Owned by the Sarajevo Navigator Foundation, the team writes continual updates for travelers all that Sarajevo has to offer, plus information about some of its partner destinations. They use a .travel domain to convey their credibility and attract visitors from around the world.